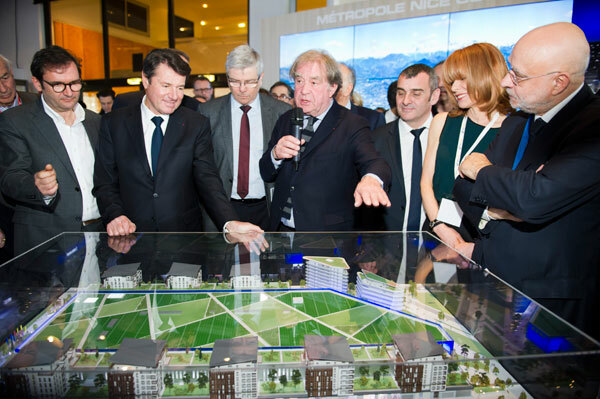 At MIPIM 2016, Christian Estrosi unveiled the model of the project Ikea Nice on the stand of the Metropolis Nice Côte d’Azur. 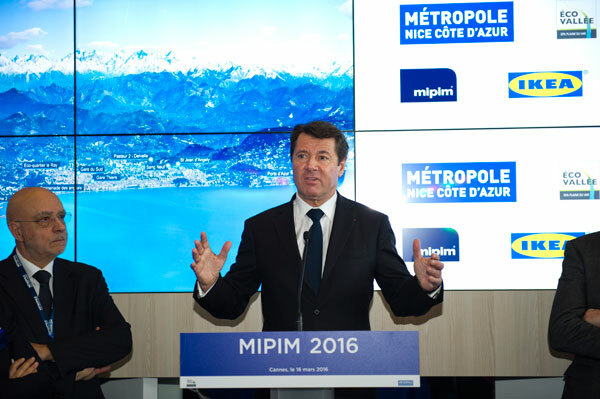 Ikea Nice was officially launched at MIPIM, the global real estate market, on March 17, 2016, by Christian Estrosi, President of the Region Provence-Alpes-Côte d’Azur, President of the Metropolis Nice Côte d’Azur and Mayor of Nice. A joint, integrated and… mysterious project. Nice Ikea is a joint and integrated project, unique in the world, combining commercial areas, office and housing. This impressive project that is to open around 2019, will be made in collaboration with Bouygues Immobilier. Its location in the fifth city France, in the heart of the Eco Valley, will benefit from its proximity with the heart of the Nice area, the A8 motorway, the international Nice Côte d’Azur airport, from nearby Italy, ski resorts via the famous RN 202 and will be served by the future tramway. Since the first day of MIPIM, the visitors who visited the 4th floor of the Palais des Festivals and the stand of the Metropole Nice-Côte d’Azur could see, standing in the middle of the huge stand, a mysterious white package signed Ikea. What could be hiding inside? After asking for information on this mystery packaging, the curious walked away with just an invitation to a rendezvous on the 17 in the morning. Finally, the awaited D day arrived. 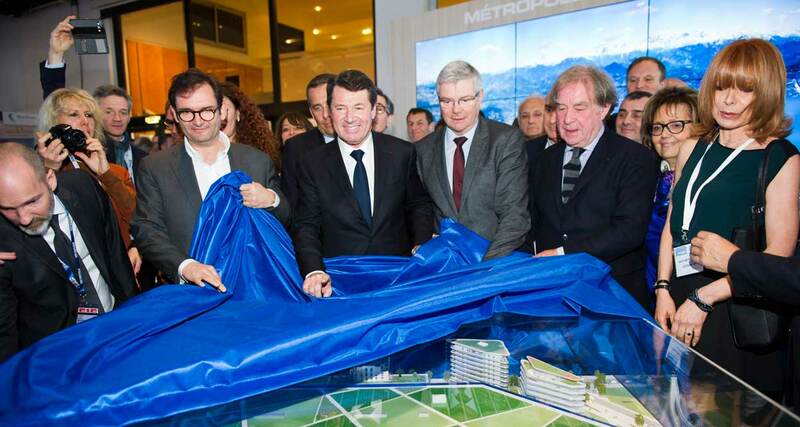 A dense crowd had gathered on the stand of the Metropole Nice Côte d’Azur to watch the arrival of Christian Estrosi, the new President of the Region Provence-Alpes-Côte d’Azur, who arrived smiling and relaxed. Christian Estrosi was accompanied by Olivier Baraille, CEO Ikea France, François Bertière, CEO of Bouygues Immobilier and Jean-Michel Wilmotte, architect. Smiles, excitement and impatience, and whispers accompanied this major event. Thousands of fans are waiting for the arrival of the Swedish giant to furnish conveniently and cheap, without having to go to Toulon La Valette , the nearest Ikea, 150 km away. Then, Christian Estrosi, finishedhis speech, walked to the model concealed under a blue veil. Surrounded by the project partners, he lifted the cloth to thunderous applause, under the flashes of photographers immortalizing the event. The model of the future Ikea shopping center appeared, accompanied later by a video on the giant screen set up for the occasion, which allowed the audience to better realize what will Ikea Nice look like. Yet, the project of Ikea Nice was far from easy. After a few false starts (Mouan-Sartoux, Ventimiglia in Iltaly…), the project has finally materialized in Nice by a buildinh permit application in December 2015 followed by an agreement in February 2016 by the CDAC (Commission Départementale d’Aménagement Commercial).. 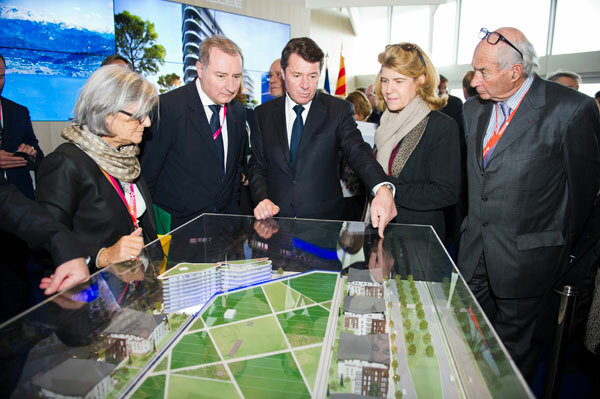 The future estate will be the first island in the eco-quartier Saint-Isidore to be born. 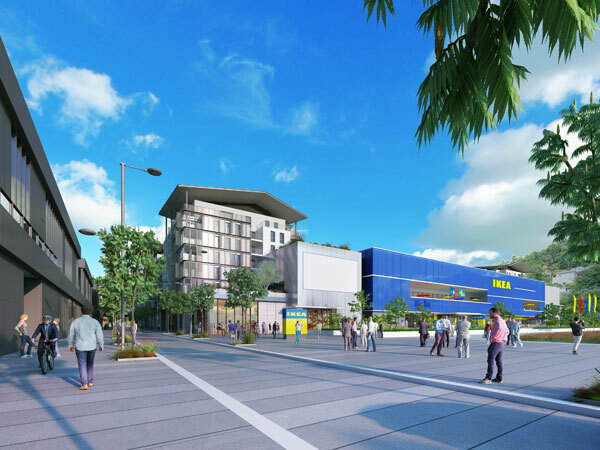 It will include the Ikea Nice store, built on an area of 24,000 m2 of sales area out of a total of 32,000 m2. Its interior will include two levels: one for furniture, the other for products grouped by topics (kitchens, offices, bedrooms, etc. 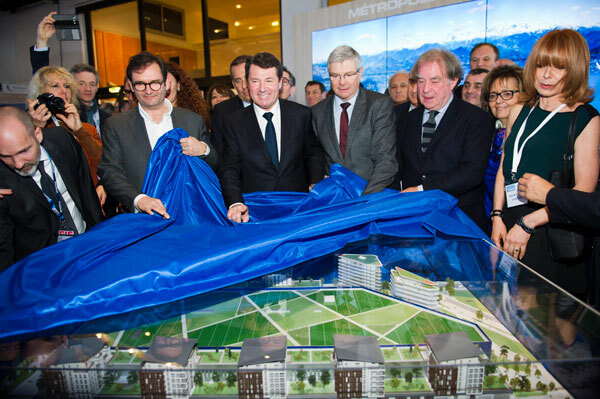 ), but also a set of 400 dwellings on 10,000m2 and 3000 m2 of offices and shops. Not to mention the indispensable 1700-spot parking that could also be used for great matches evenings at the stadium Allianz Riviera. An innovative large-scale project that made Christian Estrosi say during his speech: “It meets the priorities in Nice in terms of employment, housing and environmental excellence.» Indeed the major ecological aspect of the estate will require 7,000 m2 of photovoltaic panels on the roof and the use of geothermal energy to provide energy and very high performance energy of all buildings, green areas and green roofs. 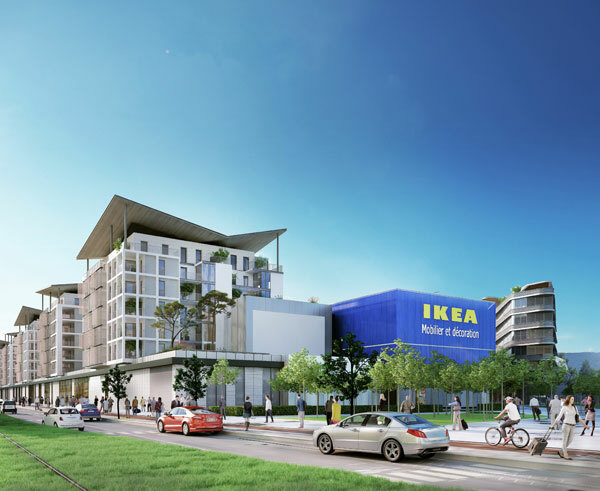 Ikea Nice will also create 350 jobs from once the project completed. Ikea Nice will cost 110 million euros. The works are to start after Euro 2016 when the building permit has been obtained. In the first instance, should be built the entire store area, then the offices and housing and finally the developments of green areas. Ikea France, in charge of development of the whole program, asked Bouygues Immobilier to build the housing, offices and shops. 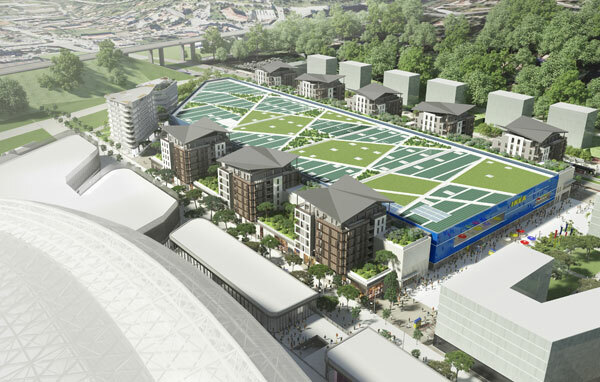 Jean-Michel Wilmotte, project architect and designer of the Allianz Riviera, will accompany Ikea France and Bouygues Immobilier in the integration of this ensemble in the heart of this eco-district to ensure harmonious architectural treatment.